Henan Tong-Da Cable Co.,Ltd, formerly known as Yanshi Tong-Da electrical material company, was founded in 1987 and has engaged in cable products for over 30 years. The company covers an area of 360,000 and has 435 staff members, 68 of which are professional and technical experts. As a professional manufacturer of overhead conductor in China, we mainly provide products covering all aluminum conductor, aluminum conductor steel reinforced, aluminum conductor-aluminum clad steel reinforced, aluminum clad steel wire, aluminum alloy conductor, aluminum alloy conductor steel reinforced, aluminum conductor-aluminum alloy reinforced, aluminum conductor steel supported, ABC Cable, LV&MV power cable, PVC insulated wire and copper strand etc. 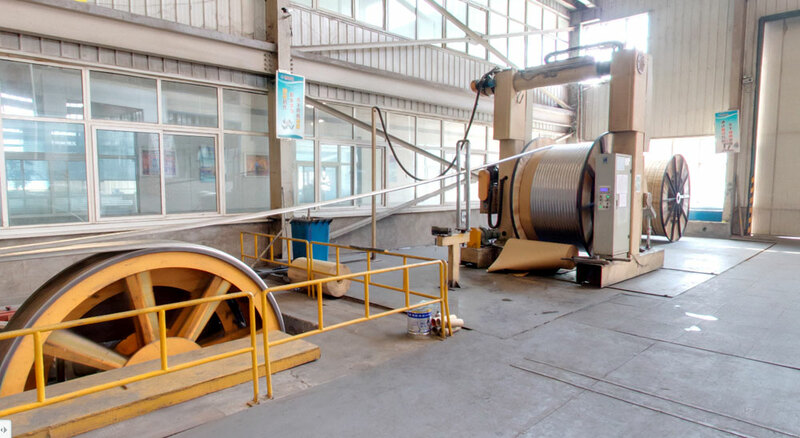 Tong-Da has complete raw material and product processing workshops, including continuous casting and rolling workshop, wire drawing, stranding workshop, copper wire workshop, aluminum clad steel wire workshop, insulated cable workshop, cable drum workshop, etc. Located in the middle of the company, convenient for processing in each processing workshop, mainly used for storage of auxiliary materials, such as cable material, machine parts. Raw material workshop, aluminum raw material. Equipped with ZZR1500 255/15 continuous rolling and casting machine for aluminum rod processing, the processing process include: melting-deformation-cooling-aluminum rod for wire drawing workshop. Equipped with 12 wire drawing machines, mainly responsible for drawing aluminum monofilaments with diversified specifications. LDD-560+450/11-2 high speed 2 head-drawing machine is available in drawing of two monofilaments simultaneously, and it uses motor power, producing less noise, easily controlled speed and exhaust emission free. With JLK-710/6+12+18+24+32 frame type strander, tubular strander, fork type wire stranding machine, cage stranding machine etc, mainly used for stranding the monofilaments into various electrical conductors. Tong-Da is a rare cable producer in China available in manufacturing of wire and cables for electrified railway, with the products for railways mainly covering contact wire, catenary wire etc. The workshop is equipped with a railway model to give high compatibility with the products, besides, there involve multiple processes, including SL12-QL-S-A-20 upward continuous casting system, which are applied for oxygen free copper rod required by the next process, and TJ-400/250 continuous extruder, 2LG-8L roller, LFD-1200/5 drawing machine, heavy type LHD-600/2+450/9 copper(copper alloy) drawing machine as well as some frame type and cage type stranding machine. Aluminum clad steel wire is a new workshop developed by us independently, this workshop is equipped with two aluminum clad steel wire cladding machines, mainly for covering the aluminum material onto the steel wire and produce covered aluminum steel rod, later, stranding them to aluminum clad steel monofilament by our LZ-8/700 double metal wire drawing machine and finally the finished products will be produced through cage stranding machine. Being equipped with CCV line, 11 extruders, CTS machine, steel wire armored cable machine,irradiated cross-liked machine, mica wrapping machine, corrugated aluminum sheath stripe machine, available in production of various low and medium voltage power cable with diversified specifications. The finished product, after being produced and tested qualified, will be put in the other workshop for storage and delivery.